Hydrosphere is exhibiting at RenewableUK 2013 Annual Conference being held on Tuesday 5th to Thursday 7th November at the NEC in Birmingham. Hydrosphere will be on stand 185 exhibiting the new Mobilis DB 650 – a robust, flexible data buoy platform that can be used for a variety of inshore and estuary applications in up to 50m water depth. The DB 650 has a 1.2m diameter hull with 650Kg buoyancy. 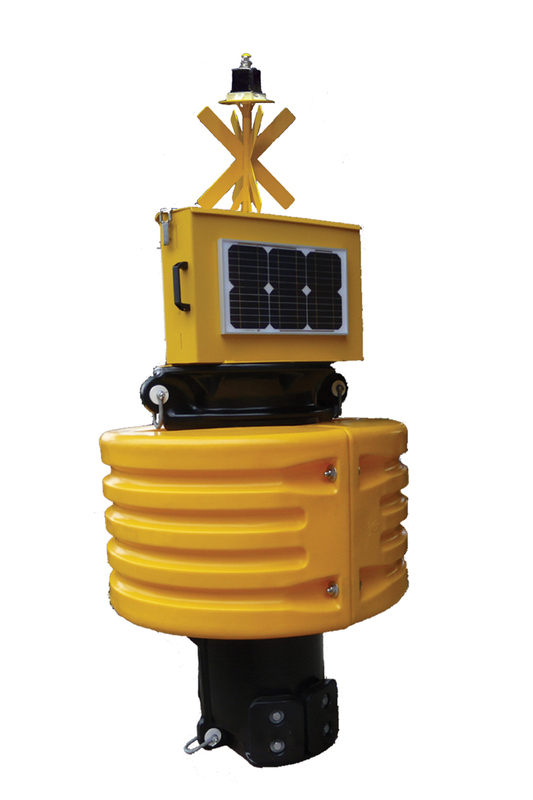 Despite its compact unit it retains features of the larger Mobilis data buoy platforms supplied by Hydrosphere including a robust central structure with through-hull access for underwater instrumentation and cabling. Buoyancy is provided by multiple-section rotationally moulded polyethylene (MDPE) floats, which are bolted around the structure. In addition, a range of solar LED navigation lights suitable for offshore renewable energy applications will be available to view on Hydrosphere’s stand. In its 35th year, RenewableUK 2013 will be attended by over 5000 delegates, 300 exhibitors and 150 speakers.